Lambi beach, Kos town. 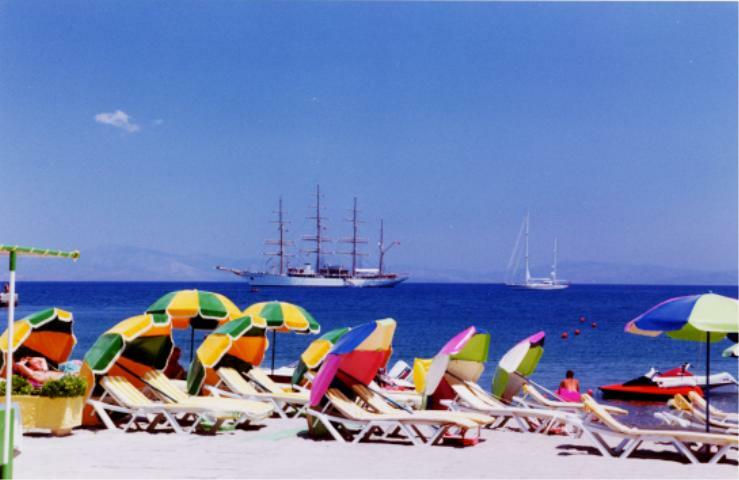 Located in Kos town this beach stretches from right next the harbor for a distance of more than one km. Here you will find an umbrella and bed to relax and a number of restaurants you can enjoy a snack or full meal after you have enjoyed the sun and beach. For the action seakers many watersports like jetski, parachute jumping are available.